Sweet potato black bean tacos with an addicting avocado lime crema. These easy to make tacos are perfect for vegetarians or a meatless weeknight dinner! 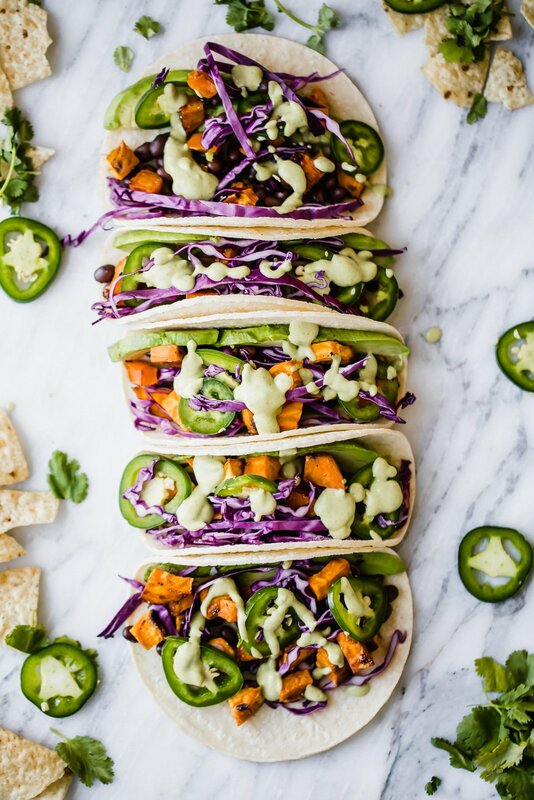 I’m SO excited to share these vegetarian sweet potato black bean tacos with you. They’re inspired by my friend Jessica’s new cookbook The Pretty Dish. Let me just tell you that I’ve basically been obsessed with Jessica’s recipes for years. She’s an inspiration to many, dedicated to her craft and incredibly talented when it comes to creating epic, creative flavor combinations. She’s also a beauty product fanatic, which makes me love her even more. Since I love tacos, but don’t make them at home nearly enough, I decided that Jessica’s Butternut Squash Black Bean tacos were going to happen on the blog. Unfortunately finding butternut squash this year can be a little difficult, so I opted for the always seasonal sweet potato. Where my sweet tayta lovers at? 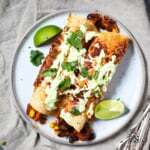 These tacos are simple to make and involve a super addicting avocado lime crema (also slightly adapted from Jessica’s original recipe). 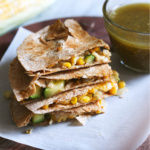 I added avocado because I love the creamy texture it gives the tacos and helps cool the jalapenos down a bit. Look I don’t know what else to say about these bomb veggie tacos, other than you’re going to fall in love. And if you don’t already have The Pretty Dish, then add it to your Amazon cart ASAP. The cookbook is full of more than 150 everyday recipes & 50 beauty DIYs to nourish your body in and out. To be completely honest, it’s one of my favorite cookbooks I’ve had in quite sometime and I CANNOT wait to make more recipes from it soon! Hope you love the tacos as much as Abra and I did! xoxo! 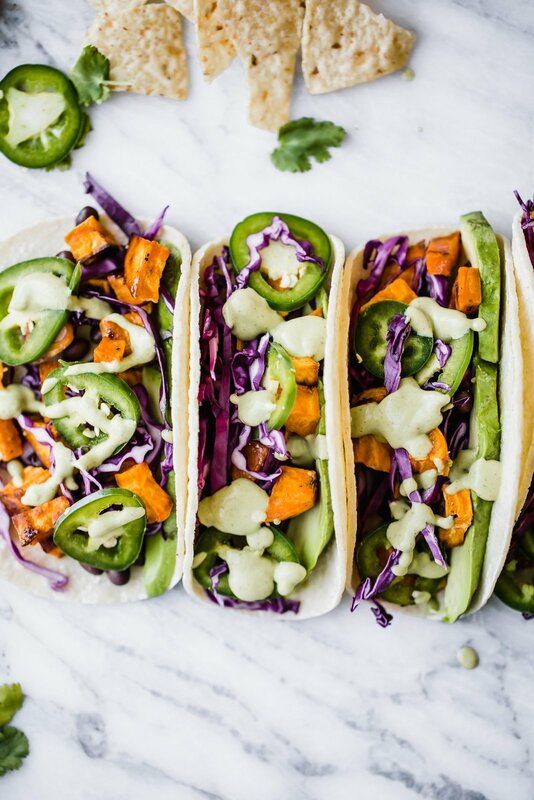 Sweet potato black bean tacos with an addicting avocado lime crema. These easy to make tacos are perfect for vegetarians or a meatless weeknight dinner! 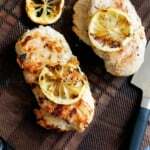 This recipe is slightly adapted from the cookbook The Pretty Dish. Preheat the oven to 400 degrees F. In a small bowl, whisk together the coconut oil, brown sugar, minced garlic and chili powder. Place the sweet potatoes on a baking sheet and pour mixture over the top. Season with salt and pepper and toss well to coat. Roast for 30-40 minutes, tossing a bit halfway through. 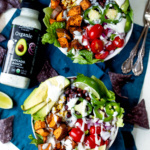 While the tacos are cooking, prepare you avocado lime crema, by adding all crema ingredients to a blender or food processor and processing until smooth and creamy. Add additional water if necessary to thin out. Assemble the tacos by filling the tortillas with the sweet potatoes. Top with the cabbage, black beans, avocado, jalapenos and a drizzle of the avocado lime crema. Serves 2; make 2-3 tacos per person. Feel free to double the recipe for meal prep. 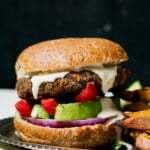 TO MAKE VEGAN: Leave out the Greek yogurt in the crema and use extra avocado instead! 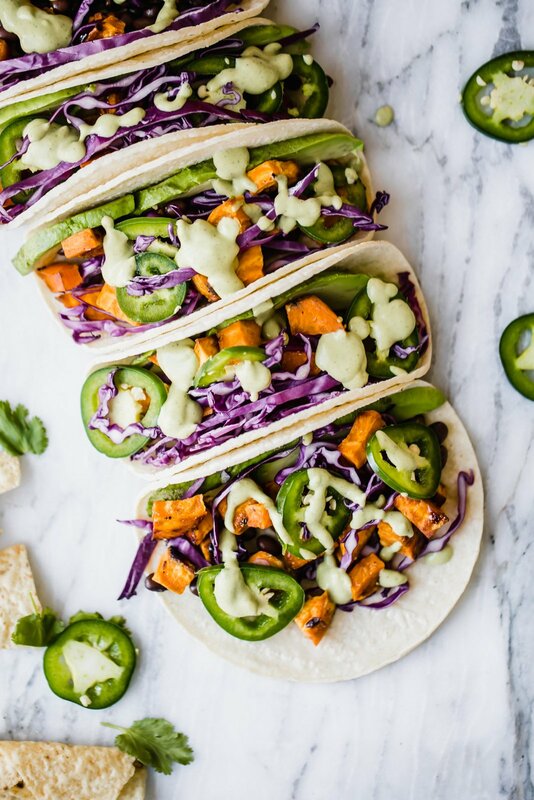 23 Responses to "Jalapeño Sweet Potato Black Bean Tacos with Avocado-Lime Crema"
Yes yes yes to these! They sound amazing for a taco Tuesday! So Delicious coconut yogurt would also be a good sub for vegans if you have it near you. Between this recipe and the new one on Minimalist Baker, I’m starting to think this is some new weird targeted tastebud ads… It’s like you knew what I was craving! Yay tacos! Thank you the recommendation for Jessica’s cookbook. Can’t wait to check it and her site out! Tacos! The flavors in these sounds perfect! Yes! They’re seriously so good! great taco idea, they have all of my veg favorites that I usually find in a salad, nice change in a taco, thank you! These look so colorful and tasty Monique! 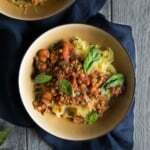 Perfect for meatless Monday nights! I loved these tacos!!!! I made the sauce vegan, so without the yogurt. Just added some vinegar and more lime to it instead. I forgot to add the sliced avocado inside but it was delicious anyway! I could eat these everyday. So, so good. Thanks. Perfect!! I pretty much ate these every day after I made them 😉 so glad you loved them too! 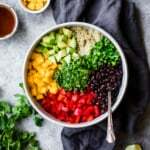 This is my favorite recipe I have tried so far and I make one of your recipes at least twice a week! I am cleaning up and I can’t stop dipping the sweet potatoes in the crema sauce- soooo good, everyone needs to try this! Love this one! And yes that avocado-lime crema is the best.